Even though it is natural for someone that is filing for bankruptcy to want to favor one creditor over another, the unfortunate fact in bankruptcy is that all similar class creditors must be treated fair and equal. It does not matter if this favored creditor is a family member, business partner, or simply your favorite credit card the fact remains that if all of the above are unsecured creditors, they must be treated the same. When filing for bankruptcy you must report those to whom you have paid a substantial sum of money prior to filing. In most cases a substantial sum is considered to be anything above $600. This is amount is not a fixed amount and it is up to the trustee to decide which amount is worthwhile to pursue. There are trustees who will require that a creditor returns a $300 payment. Each debtor has to list payments within 90 days prior to filing the bankruptcy petition if the aggregated value of all transfers is $600 or more. If a debtor is married and files a chapter 13, debtor has to include also payments made by his/ her spouse to creditors of more than $600. All payments to friends or family members made within the last year before filing have to be listed on the petition. These payments, if paid in a disproportionate amount as to the other similarly classified creditors and to the amount you owe each, could be viewed as favoring one creditor over another. 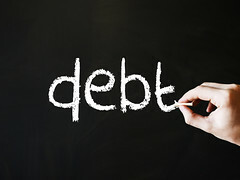 Imagine if you had $2,400 cash on-hand that you wanted to pay toward your unsecured debt. In this instance you would have to split the $2,400 and pay it to each creditor in a proportionate amount to the total amount owed.